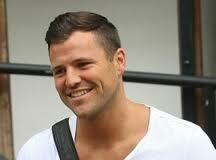 Mark Wright from the hit show “Take Me Out..The Gossip” has recently changed his hair style only to reveal that his hairline is not as good as it used to be. Infact, there has been a dramatic difference fairly suddenly and could this be early signs of male pattern baldness? Many men in West Yorkshire ignore the signs as soon as their hairline starts showing any kind of recession, thinking that it will not get worse simply because there is no thinning around the crown or on top of their heads. Research shows that the first sign of Male Pattern Baldness is the receding hairline which thins out rapidly in a very short period of time. Several men in Leeds, West Yorkshire who experience this kind of thinning in their fifties can put in down to age however the younger man needs to explore history of hair loss in their family and if it exists then should certainly consider calling Total Hair Loss Solutions, Leeds. Our highly successful Hair Loss Retention/Regrowth Treatment has stopped hair loss and enabled both men and women to have a natural full head of hair once again.